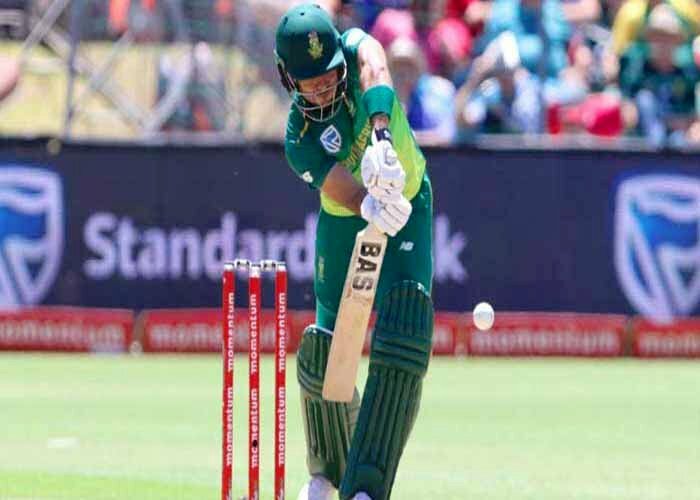 Skipper Faf Du Plessis and Reeza Hendricks did the job for South Africa before the rain interrupted the third ODI and the hosts win it by 13 runs through the Duckworth–Lewis method at the SuperSports Park on Friday. Duplessis stood out there on the crease after losing two of their openers. He scored 40 runs with the help of three boundaries and a six. On the other hand, Hendricks played a fearless inning of 83 runs off 90 balls. Earlier, Left-handed opener Imam-ul-Haq defied all odds to score 116-ball 101 which helped Pakistan to post a mammoth total of 317 runs on the scoreboard. Imam struck eight boundaries to impress his team’s total. In the end, it was Imad Wasim who helped Pakistan boost up their total playing a fine inning of 43 runs. 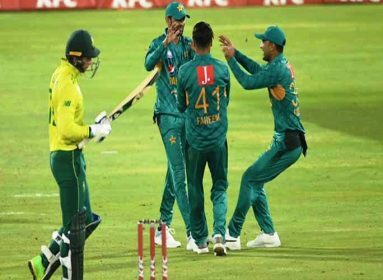 Pakistan after winning the toss decided to bat first as their openers Imam and Fakhar Zaman came to the crease with a plan to score as much as they can on a flat pitch which had much to offer for the batsmen. Zaman, following his poor form, once again fell to debutant Beuran Hendricks after scoring just two runs. 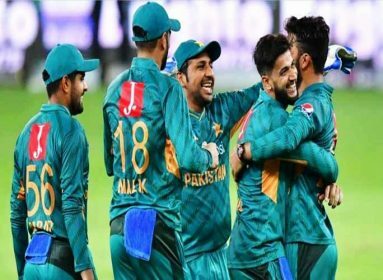 But Imam alongside Babar Azam put 132 runs partnership to not only put opponents under pressure but also to strengthen their position to take a lead in the series. “The pitch is really good to bat on, the ball was coming on the bat which helped me play my natural shots,” said Imam who celebrated his century with showing a sign to those who criticized him in his bad time. Azam holds his nerves at the other hand scoring 69 runs off 72 balls laced with seven boundaries and a six. 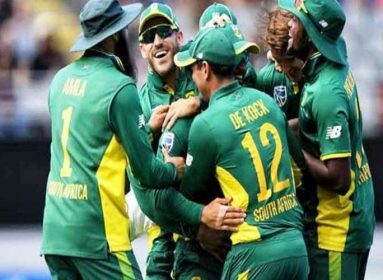 A slower delivery from Dale Steyn, who was making a comeback after skipping first two ODIs, did the work for Africa as a well-set partnership between the two youngsters came to an end. Azam failed to read the delivery and got LBW leaving his team on 136-2. Later on, Mohammad Hafeez, who was dropped on 10 off his old rival Steyn by Hashim Amla, played his role for the team scoring 52 runs with the help of six boundaries and a six. Steyn finished his 10 overs spell with the figures of 2-43 while Kagiso Rabada also took as many wickets for South Africa. In reply, South Africa started off well with Hashim Amla and Quinton De Kock. A 53-run opening partnership gave the hosts a strong hope to chase down the huge total. Amla scored 33 runs before getting out to Hasan Ali with a soft dismissal. De Kock unluckily got run out with an epic throw from Shadab which went straight to hit the stumps. He was in good touch scoring 33 off 36 balls. Hasan Ali was the only bowler to take a wicket for Pakistan. With this win, South Africa are now 2-1 up in the five-match ODI series. Both teams will meet in the fourth ODI on Sunday.